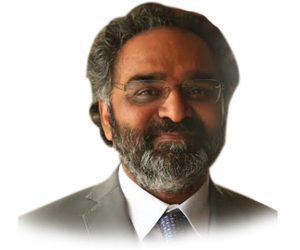 Dr. Asim Zia is serving as a Professor of Public Policy and Computer Science in the Department of Community Development and Applied Economics, with a secondary appointment in the Department of Computer Science, at the University of Vermont. His scholarship, research and public service activities have focused on advancing the interdisciplinary fields of computational policy analysis, governance network analysis, coupled natural and human systems and social ecological systems. He has served on scientific review committee of national socio-environmental synthesis center (SESYNC) (2014-17), acts as an academic editor for PLOS One (since 2013), and associate editor of Complexity, Governance and Networks. He has a Ph.D. in Public Policy from the Georgia Institute of Technology; recipient of 2004-2005 best dissertation award from the Association for Public Policy Analysis and Management, a post-doctoral fellowship from the National Center for Atmospheric Research (2004-2006), a fellow at the Gund Institute for Environment (since 2011), a senior research fellow for the Earth System Governance project (since 2012) and a senior fellow for Global Change Impact Studies Center (since 2017).